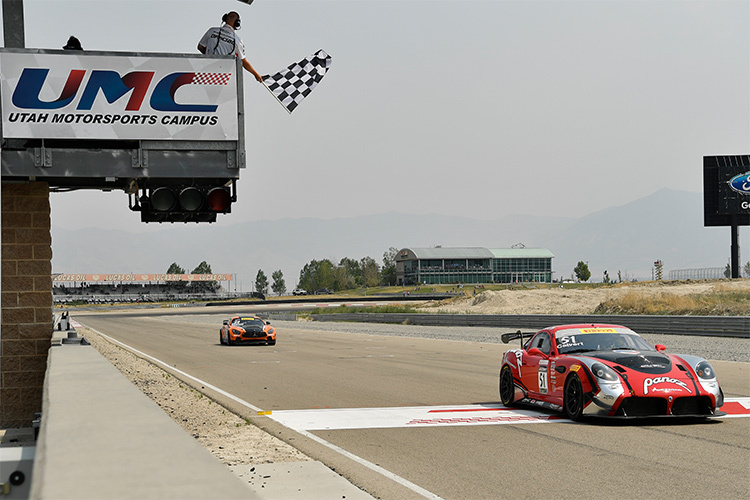 Both the #50 driven by Ian James and Mathew Keegan, and the #51 driven by Preston Calvert take victories in the GTS Sprint-X Pro/Am and Am classes respectively at Utah Motorsports Campus in the penultimate round of the GTS Sprint-X Championship. Aug. 11, 2018, Tooele, Utah. – Qualifying this morning went well for the Team Panoz crew. Mathew Keegan put the #50 Panoz Avezzano on the front row of the grid in second, and Preston Calvert qualified ninth overall, third in class with the #51 Panoz Avezzano. In an eventful first half, where both starting drivers Keegan and Calvert were initially caught up in traffic, both proceeded to climb up the leaderboard. About ten-minutes into the race, Keegan battled the lead Mustang who was dropping oil on the track and windscreen as he followed closely. After a ten-minute battle, Keegan made it around and took the lead, prior to handing over the wheel to Ian James. Calvert, before his pit, had made it up to sixth overall. James maintained the lead throughout his stint taking the checkered flag for the first Panoz victory of the day. 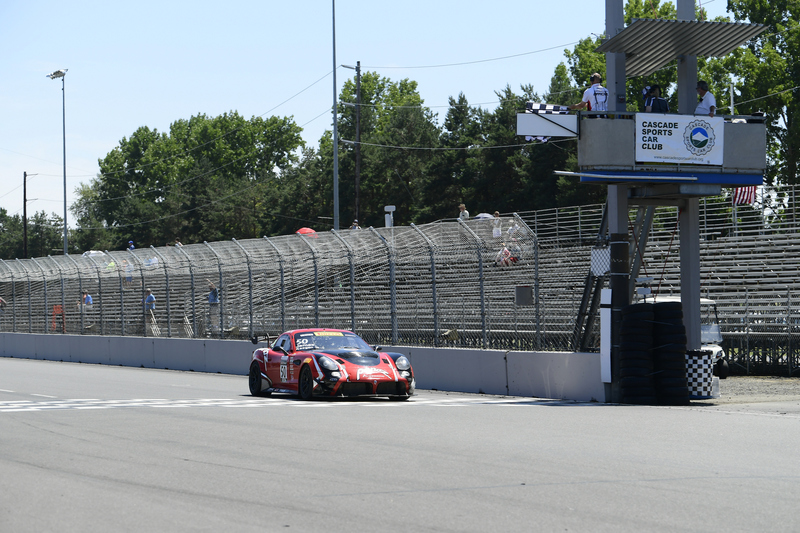 After pitting, Calvert returned to the track in third, but soon made it to second overall to give Panoz a one-two lead in the race. Harry Gottsacker hunted down Calvert in the #51, eventually making it past shortly before the finish, meaning Calvert took the checkered flag in third overall, first in class. After both cars winning today’s race, James will start tomorrow’s race in first with the #50 and Calvert will be in eighth, second in class with the #51. 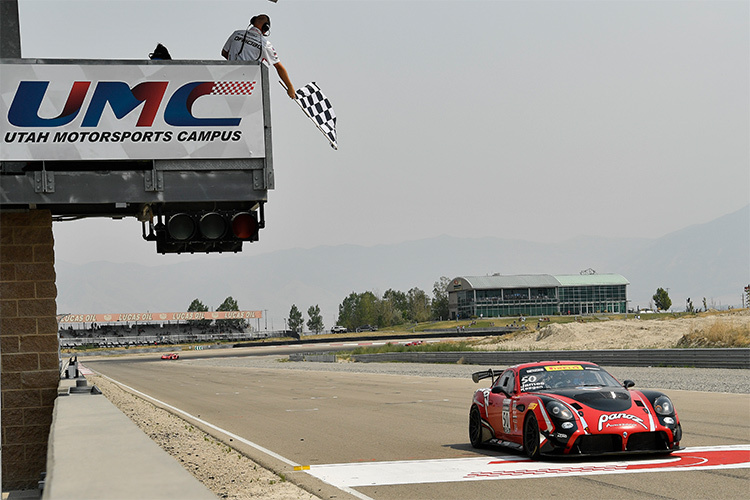 Tomorrow’s race will be the final round of the Pirelli World Challenge GTS Sprint-X Championship.